Buffalo Grove Realtor, Judy Greenberg just listed 960 Knollwood in Buffalo Grove. 960 Knollwood in Buffalo Grove is an updated 4 bedroom 2 1/2 bath home with a full finished basement. 960 Knollwood in Buffalo Grove boasts an updated kitchen with newer appliances and a separate eating area. This Buffalo Grove home has a gorgeous backyard backing to Long Grove..
960 Knollwood feeds into Prairie Elemenary School, Twin Groves Middle School and Stevenson High School. If you would like to see this gorgeous spacious home, please do not hesitate to call the Judy Greenberg Group at 847-602-5435. 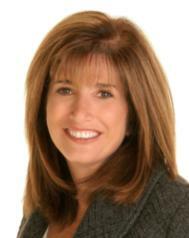 Judy works in the Buffalo Grove/ Stevenson High School area and can help you find your dream home. If you would like to any see all of the Buffalo Grove homes for sale.. click here If you would like to view any of the Buffalo Grove homes for sale, please call,or text Judy Greenberg at 847-602-5435 at your convenience. Hi Judy, that is a great listing! I wish you the best of luck!